Tea and Stitches: Happy New Year!! 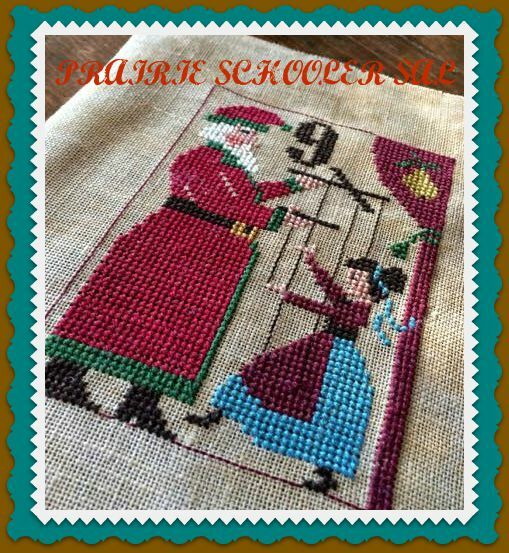 I am always so ready to start stitching again after the Christmas and New Year Holiday. 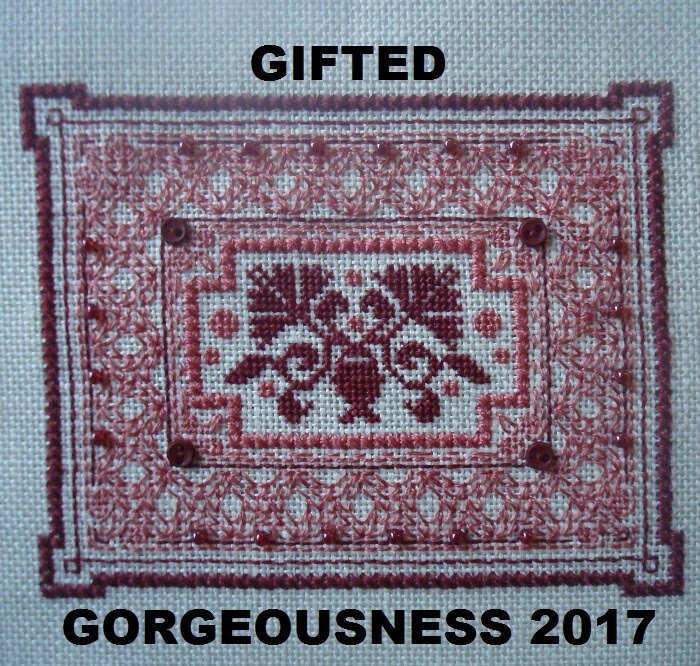 This year I have joined Jo's Gifted Gorgeousness SAL. 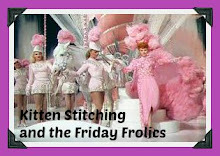 The objective is to stitch on something that you have been gifted and report your progress monthly. Since I have a very large basket of WIPs I thought this is the SAL for me. 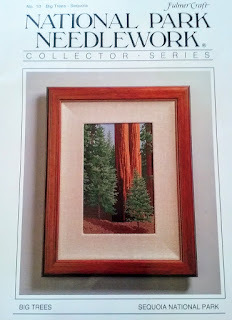 I picked a kit gifted to me by my husband and son when they went to Sequoia National Park in March 2014. I started it and added it to my rotation and I have not touched in a very long time since March 2014. So my challenge is to finish it and gift it, framed, back to them at Christmas. When I picked this up yesterday I re-read the directions and found out that I needed to frog all that I had stitched back in 2014. This piece is stitched with continental stitches (half cross stitch) with 6 strands of floss. This is how far I got yesterday. Should be fun. Wishing you all the best in 2017!! Politics aside, I hope we all have a great year. Great Start! Happy New Year! What a grand piece this is going to be CJ! 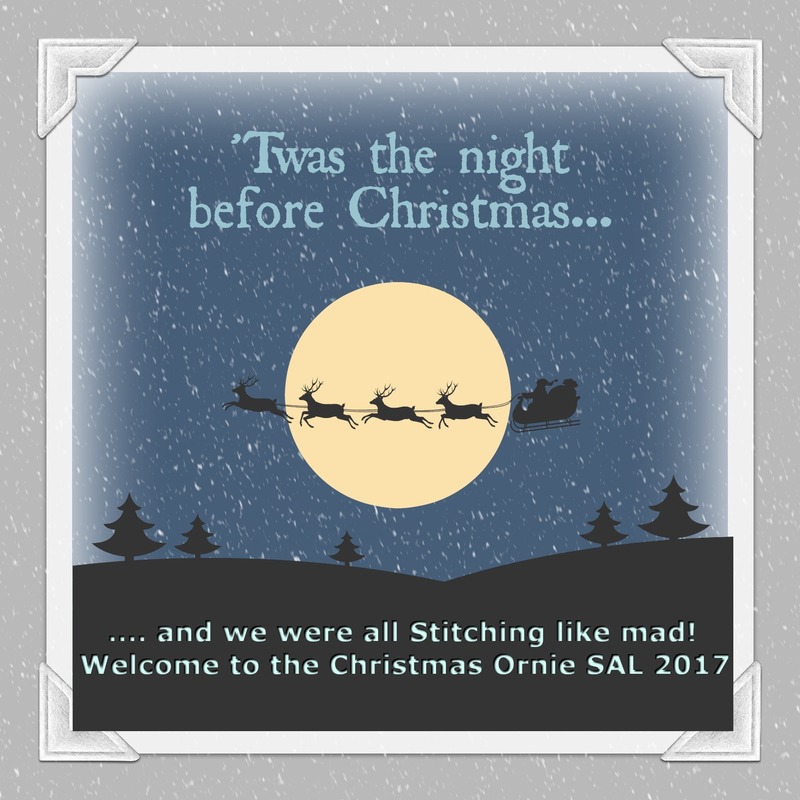 I'm going to be stitching this this year also. 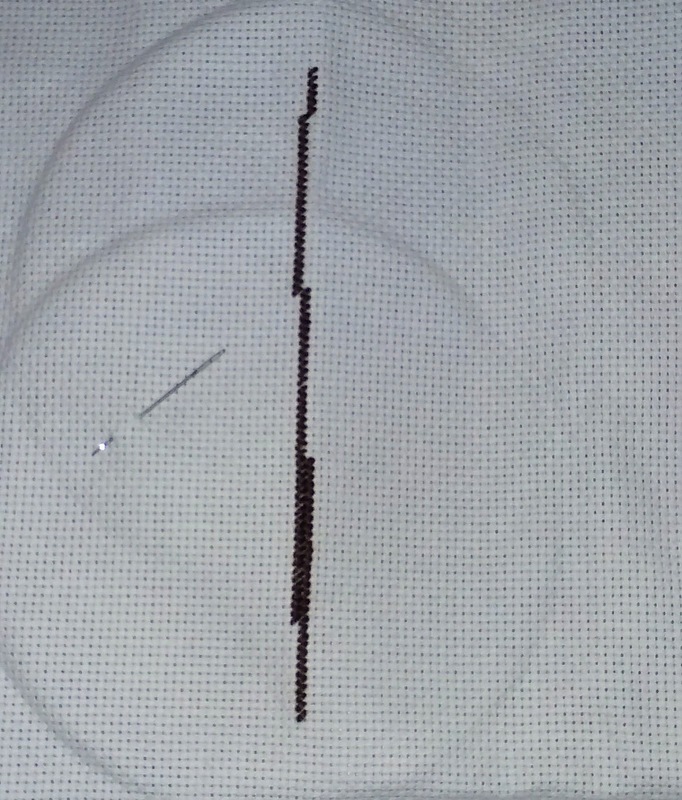 I'm stitching for Stitch Mania's Full Coverage on the 5th, so I'll only be stitching it on the 5th of every month. 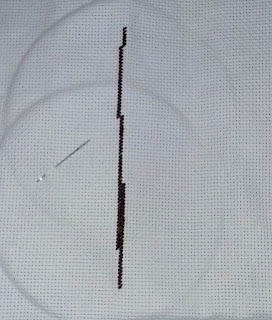 I intend to stitch it in cross stitch though. I'll be looking forward to seeing your progress. What a beautiful gift - and a bonus that it's only half cross stitch as it should take half the time! A lovely idea to gift it back once it's finished. Good luck!